Judy is the ultimate professional that can guide you through the difficult process of writing and promoting your book. She accomplishes this with a level of expertise that makes the mission easy. Interested in long term relationships, Judy has the right formula for her clients by providing quality work at a fair price. This makes Judy the go to person for anyone who is truly interested in a successful experience! In the 6 months since my first book came out, I can hardly believe the difference that one book has made for my business. People view me now as an expert. I am getting many more calls for people seeking my expertise, and consequently I am also landing more business. I have gained more confidence as well, which has been a significant factor in my ability to close more deals. Thank you SkillBites for making it so easy for me to gain these advantages. SkillBites supported me every step of the way in writing my book, giving advice and support whenever needed. To say I have gotten a lot from my association with SkillBites would be a huge understatement. 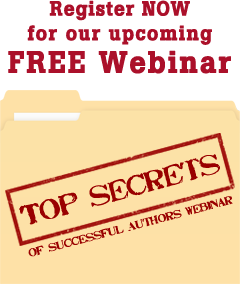 I love the monthly webinars for authors and the opportunities to interact with successful authors. The presentations are excellent in content and I always learn something new. The SkillBites platform has everything an author needs to be successful. It outperforms any other platform on the entire Internet, bar none. Writing a SkillBite was a great experience for me. I really appreciated the encouragement and follow-up I received from SkillBites to help my co-author and me complete our book. The platform was easy to use and our book came out looking great. Another feature of the SkillBites author platform that appealed to me was that I own the copyright to my material. I have the right to take my material and expand it into a longer book or use the content in other ways. My co-author and I are in the process of writing our 2nd book, which we will also publish through SkillBites. I had been thinking about ways to package my content for a long time, but hadn’t figured out how to do it. I needed a way to expand my customer base and provide guidance to my non-local customers. SkillBites offered the perfect solution for me. I’ve now written 3 books in a series that will extend to several more. Not only have I gained new customers for my dog training business, but surprisingly, I have also gained new customers for my canine art business as a result of becoming a published author. It’s been a very rewarding experience. I paid a lot of money to a book publisher to include an article I wrote in a composite book with several other authors, before I learned about SkillBites. With SkillBites, I got my own book and at a much more affordable price. It was easy to use the SkillBites template and I felt well-treated through the whole process. I’ve now written three SkillBite eBooks, and have found the process amazingly easy to use. The template allowed me to quickly and effortlessly have the books completed. They are very professional and I have been using the books to send to prospective customers as well as to obtain speaking gigs. My SkillBite books have not only assisted me in getting leads and converting more prospects into clients, I’ve also been able to increase my consulting rate, in keeping with my status as an author of several published books. SkillBites went above and beyond to make it easy for me to write my book on employment law. The process was intuitive, and I received very helpful guidance and excellent feedback. The process was so easy that I was able to complete my book and get it published much quicker than I expected. That was really important to me, because as a solo practitioner, I did not want to spend a lot of time writing a book. It’s been amazing how much more credibility my book has given me. I’m getting comments about my book from people all across the country. It has certainly raised my profile and expanded my circle of influence. I used SkillBites to help me get the book done. They were great to work with and I highly recommend the SkillBites team. Working with SkillBites was a pleasure. I was a novice in the publishing arena, and they were patient, responsive and helpful in answering all my questions. Judy Weintraub and her team understood my short and long-term goals and effectively transformed my ideas into reality. I thought the editors added value to the text and the design team created stunning formatting and visuals. Then, Judy seamlessly managed the entire process including the minutiae of Amazon publishing. SkillBites is prompt and professional. I plan to write another book and will definitely use SkillBites’ publishing services again. When I decided to publish my book, I was getting disparate information from different sources. Then, I got in touch with Judy Weintraub, who, even before signing a contact with me, took the time to explain to me the publishing process in a professional, attentive and caring way. I signed up to use her services at SkillBites and am very happy with the final result and the experience. I highly recommend Judy and her company SkillBites to any new and established authors to benefit from her valuable expertise and professionalism.